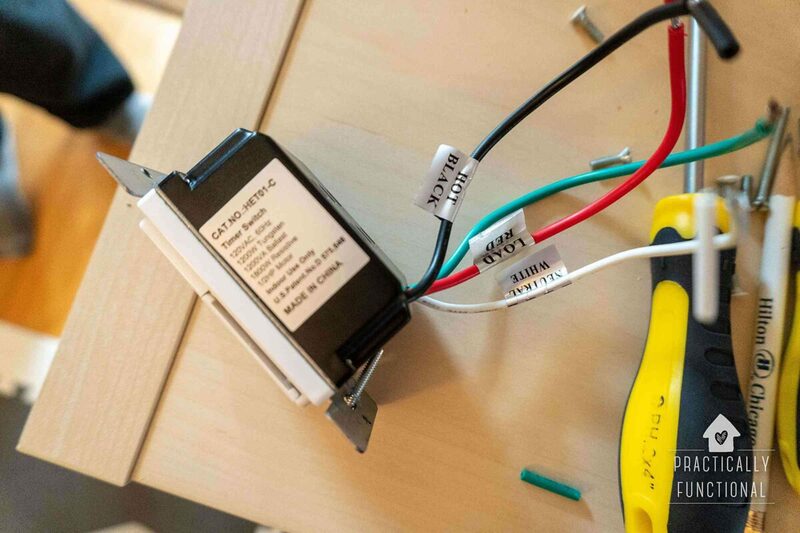 Learn how to replace a regular light switch with a programmable timer switch so you can control your lights automatically! No special app, smart home device, or smartphone required! If you hate fumbling for your keys in the dark when you’re trying to get into your home after work, try using a programmable timer switch so you can automatically control your lights! It is really simple to replace your regular light switch with a programmable switch so that you can schedule your lights to turn on and off automatically whenever you want, 24 hours a day, 7 days a week. And the best part is, you don’t need a separate app, a separate smart home device, or even a smartphone; you just need a few basic tools and a programmable timer switch! Before doing any electrical work, you ALWAYS need to shut off the electricity at the circuit breaker or fuse box! 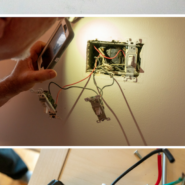 This is a very simple electrical project, but if you ever feel uncomfortable working near electrical wires, you can always call a professional and have them install it for you. 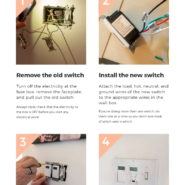 You can follow this tutorial to replace as many light switches as you want, even if there are multiple switches in the same electrical box! We replaced two out of three toggle switches in one box with these programmable switches, and they fit next to each other just fine in the electrical box. NOTE: The switch linked above comes with everything you need to complete this project (except the screwdriver and voltage tester). 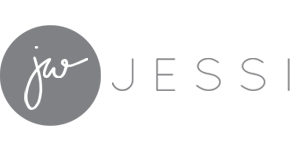 If you decide to use a different switch, you may also need to purchase a decora wall plate, wire connectors, and mounting screws. Start by turning off the electricity to the light switch you want to replace at your circuit breaker or fuse box. Remove the screws holding the faceplate onto the wall. Set the screws aside so you can use them to install the new faceplate later, just in case. 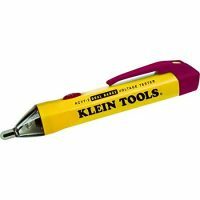 Use a voltage tester to triple check that the electricity is off to the entire wall box and all wires inside of it. Once you’re 110% sure the electricity is off, unscrew the screws that attach the light switch to the box and set them aside. 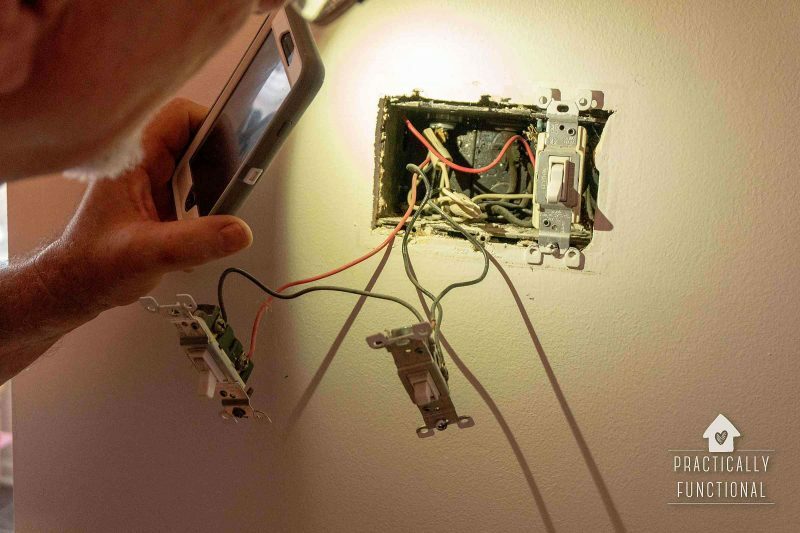 Pull the switch and wiring out of the electrical box. Pull the programmable timer switch out of its box, along with all the hardware and other pieces. If you’re replacing more than one switch, do them one at a time so you don’t mix up which wire is which. 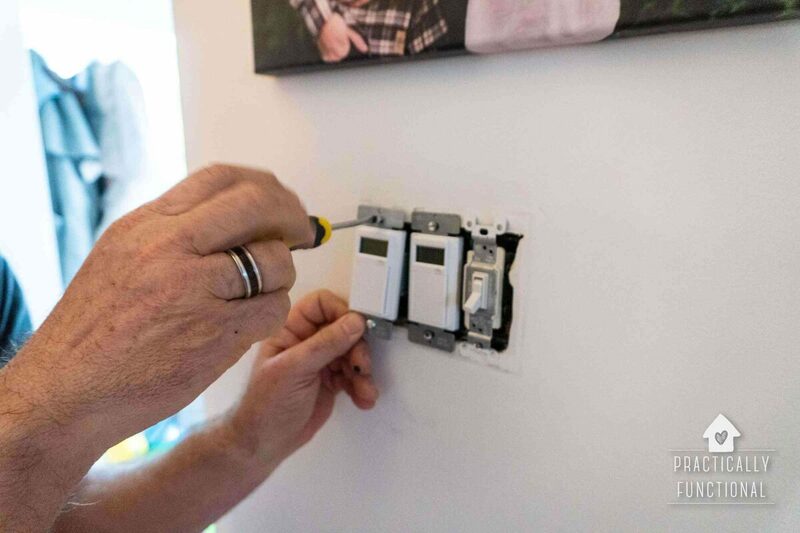 Once the new switches are attached to the wires, you can turn the electricity back on to test the switches before you fully install them back into the electrical box. 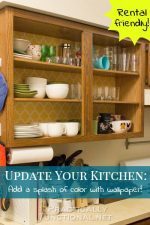 If the new switches work, turn the electricity back off, then carefully push all of the wires into the electrical box behind the switch, and mount the switch to the electrical box using the mounting screws provided (or your original screws you set aside). 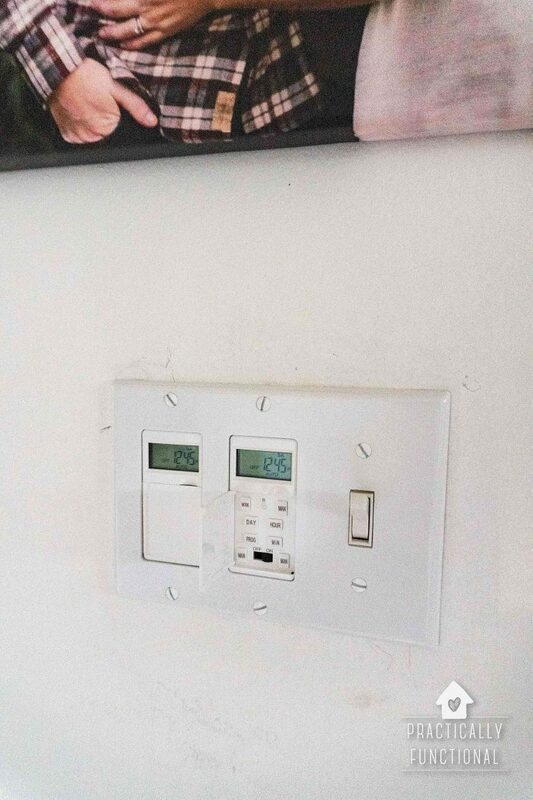 Install your new decora faceplate using the screws provided (or the original ones you set aside), and you’re done! 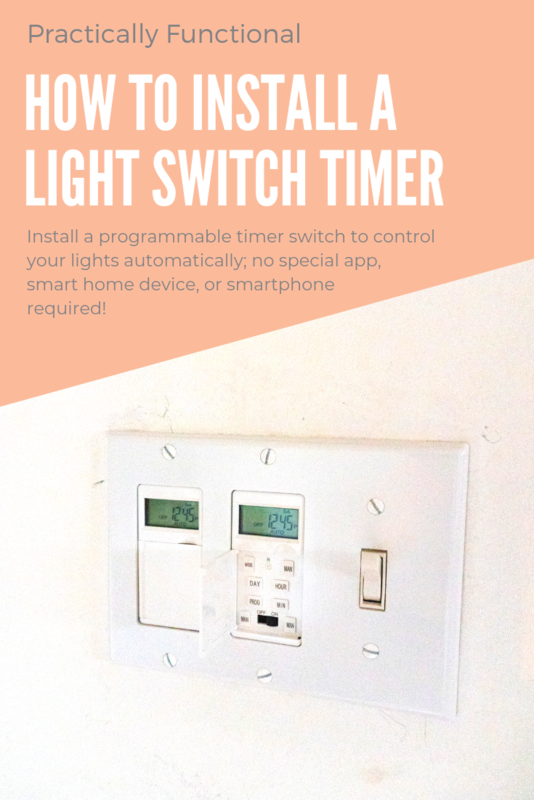 The last thing left to do is program your light switch timer to turn on and off whenever you want! With these switches, if you ever want to turn the lights on and off outside of the scheduled times, just press the entire door/cover. The light will turn on or off without interfering with your pre-programmed schedule! 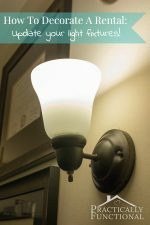 Learn how to replace a regular light switch will a programmable timer switch so you can control your lights automatically! 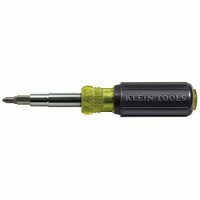 No special app, smart home device, or smartphone required! Turn off the electricity to the light switch you want to replace at your circuit breaker or fuse box. Remove the faceplate from the electrical box and use your voltage tester to confirm the electricity is off before continuing. Turn the electricity back on and carefully test your new switch to make sure no wires were crossed. If it works, turn the electricity off again, carefully push the wires inside the electrical box, then push the switch into the box. Mount the switch to the electrical box using the mounting screws. Install a new decora wall plate. 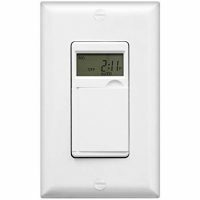 Program your new wall light switch timer! This programmable timer switch comes with everything you need for this project (except a screwdriver and voltage tester). 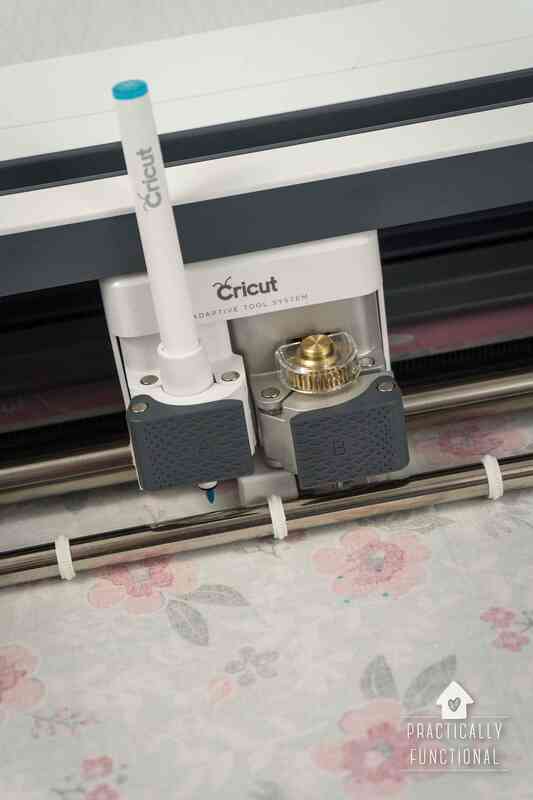 If you decide to use a different switch, you may also need to purchase a decora wall plate, wire connectors, and mounting screws. How To Decorate A Rental: Update Your Light Fixtures! 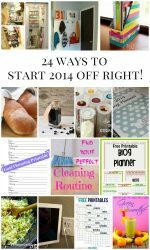 24 Ways To Start 2014 Off Right! 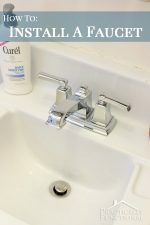 DIY Home Improvement: How To Install A Faucet! 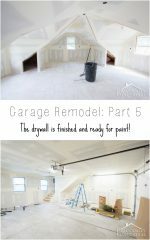 Garage Remodel Progress: The drywall is finished and ready to paint!